The new Triangle Pro is available in six different lengths. You can start small and expand it later. The Triangle Pro is designed for speedy setup and breakdown, only needing one tool to put it together. No locking bolts needed to assemble this jib arm! The Triangle Pro can carry up to 50 lbs (22.7 kg) of camera package weight. Each jib package includes a Jib Arm, a Remote Head (with remote Pan, Tilt, Zoom, Focus, Iris, and VTR Start/Stop capability), and a Battery Pack (with Charger). Our jibs are set up to run Canon Video Lenses, however, we offer accessories for operating other types of video lenses. The economic Jib Lite Pro is sold in its 6 ft base form for our most affordable, entry level jib or as a full package that can be built up to 18 ft in 3 ft increments. 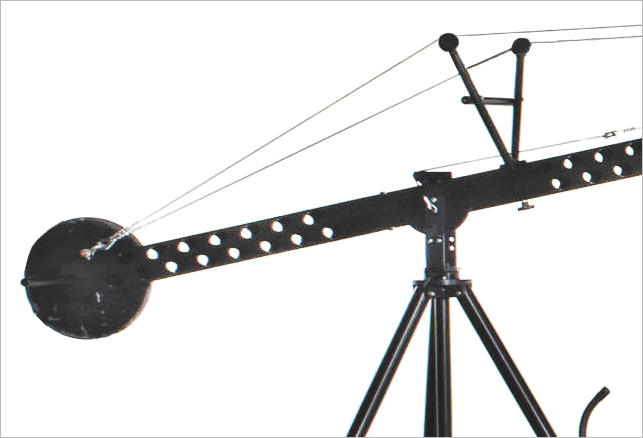 The Jimmy Jib Lite Pro is ideal for budget-minded individuals and institutions. The Jimmy Jib Lite Pro can carry up to 35 lbs (15.8 kg) of camera package weight. Each Jib Lite package includes a Jib Lite Arm, a Remote Head (with remote Pan, Tilt, Zoom, Focus, Iris, and VTR Start/Stop capability), and a Battery Pack (with Charger). Our jibs are set up to run Canon Video Lenses, however, we offer accessories for operating other types of video lenses.